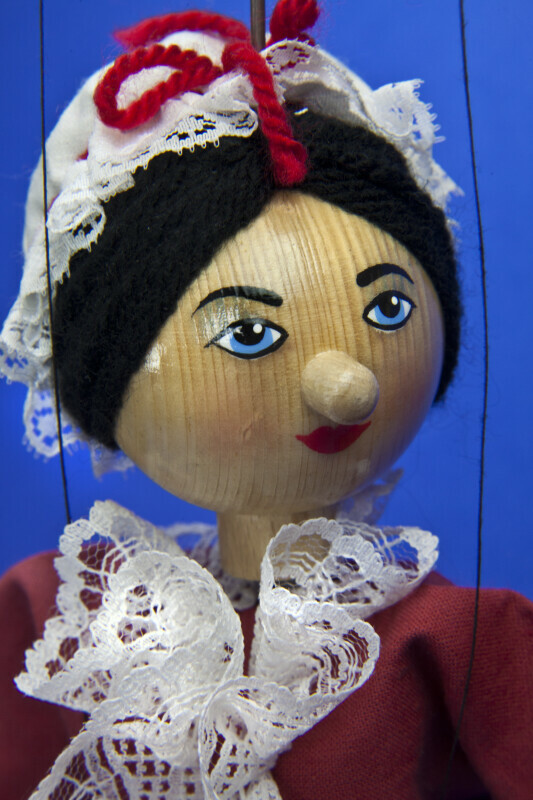 Betsy Ross marionette, controlled by four strings and a wire. Her head is created with a wood ball and a wooden nose. Her torso is formed by a wooden block, and her arms and legs are made from wood. Her hair is black yarn, and she has a frilly lace cap and collar. She is wearing a red, cotton dress and felt belt. The flag in her hand has 13 stars. This figure stands 11 inches (28 cm) tall. WARNING: You are about to download a 35.1 MB TIFF!